For those attending the meeting in Boston, or wishing they were there, you can follow the action on Twitter.com. The hashtags are #MCANA2013 and #BEMF (enter hashtags in the search field to call up Tweets relating to the MCANA meeting and the Boston Early Music Festival). 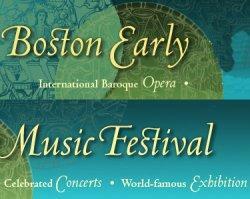 MCANA’s 2013 Annual Meeting will be in Boston, to coincide with the Boston Early Music Festival. The dates for the meeting are June 13 – June 16. An up-to-date schedule for MCANA performance events at BEMF and other important information may be found by accessing the links below.